The ATELIER - Enjoy urban living and modern style with this 1 bedroom + flex suite. 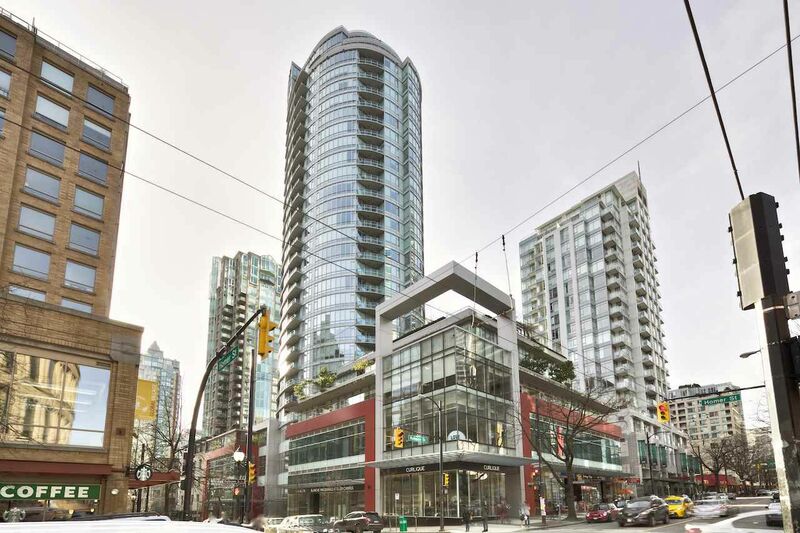 With floor to ceiling windows, this south facing condo boasts lots of natural light and a smart, functional layout. The suite features excellent kitchen finishings such as granite countertops, sleek wood cabinetry with built-in wine rack and appliances by Liebherr, Bosch and AEG. The bedroom will accommodate a queen size bed and has a Juliet balcony. Laminate flooring was recently installed in the kitchen and living room. Superb amenities include 24-hour concierge, lounge, gym, steam rooms, yoga studio and rooftop garden. Includes 1 parking. Pets/rentals welcomed. The balance of 2-5-10 Home Warranty still remaining. Open House: Feb 27, 3-5pm.